So you're ready to sell some scrap gold or silver or coins. You bring the items to us and we determine if they are gold by our various testing methods. 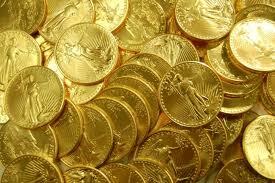 If they are gold, we then determine what karat they are. The higher the karat, the higher the percentage of gold and the greater the value. See our Jewelry Markings page. We perform different tests to determine if you have silver items and if the items are 92.5% silver (sterling) or 99.9% silver (pure silver). Here again, the higher the percentage the greater the value. Do not waste your time cleaning the silver or gold items because we are buying these as scrap and polished or not, or whether they are broken or not, does not affect the price we are paying you. U.S.coins are valued two ways, their metal content or their numismatic value. We will do our best to pay you based on the higher of the two values. With the high prices of precious metals, normally the value of circulated U.S.coins is based on the current gold or silver price. 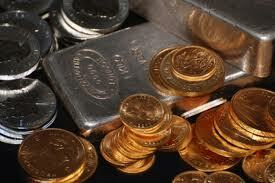 Foreign silver or gold coins are almost always valued by their metal weight. The trick is determining what percentage of precious metals they contain. U.S.coins are 90% silver but on the foreign coins we consult reference books that will show us the % precious metal weight of the coins and if there is an estimated collectors value. DO NOT clean your coins at any time. If they have a strong numismatic (collectors) value, cleaning or damaging the coin in any way will destroy that extra value that may exist. We calculate our purchase prices based on the current metals prices according to market trends and our acquisition/disposal costs.